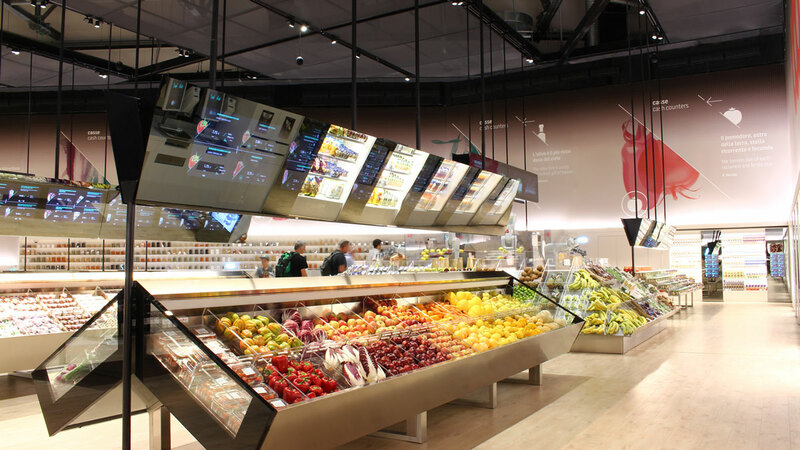 Standing out at Expo 2015 is the futuristic Supermarket of the Future, located within the Future District Food area and designed by Carlo Ratti (Director of the MIT Senseable City Lab of Boston) together with Coop, the Official Food Distribution Partner. 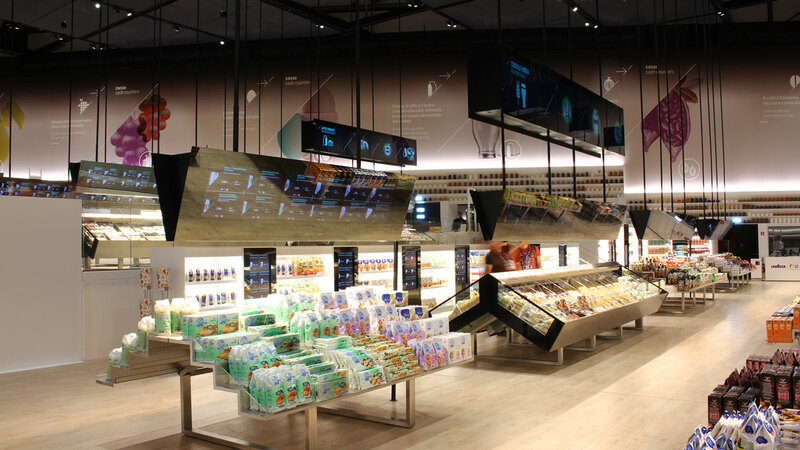 The space of 2,500 m² shows how the latest technology can change the interactions between consumers, producers and products; an experimental area where, to lead the way, in addition to consumer products, there are innovative technological solutions for sales. 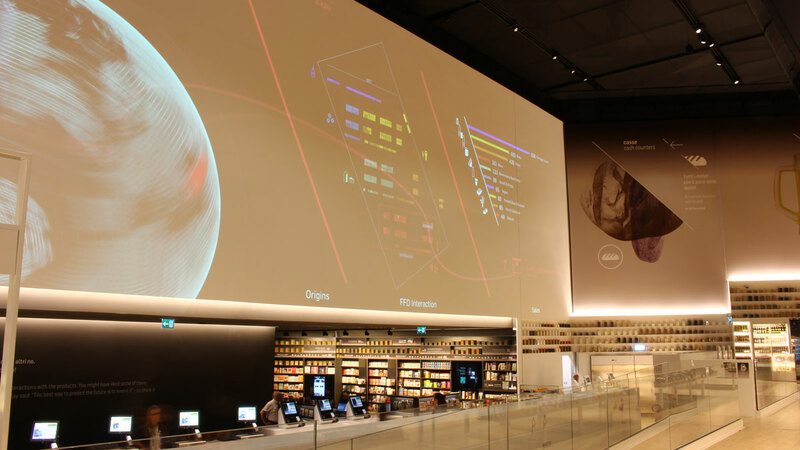 Authenticity and transparency are strong values in the foreground. 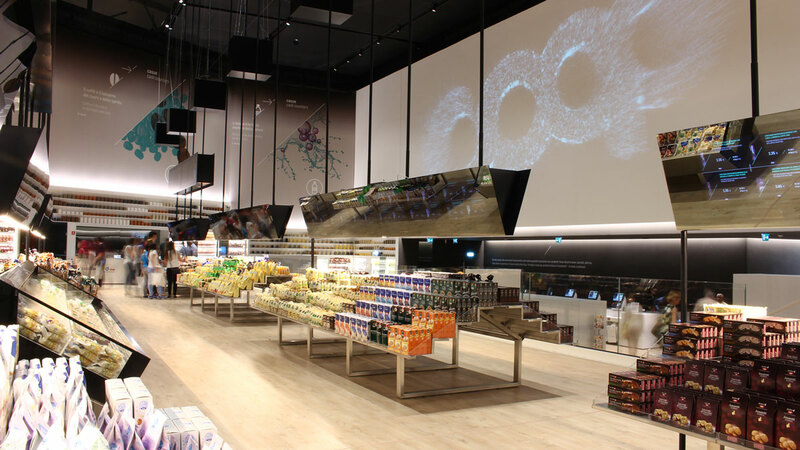 A vision in harmony with the spirit of Imoon, which always supports its customers in the lighting design of their stores, and with its mission « vicini anni luce » moving steadily towards innovation technology whilst also respecting the values of tradition. 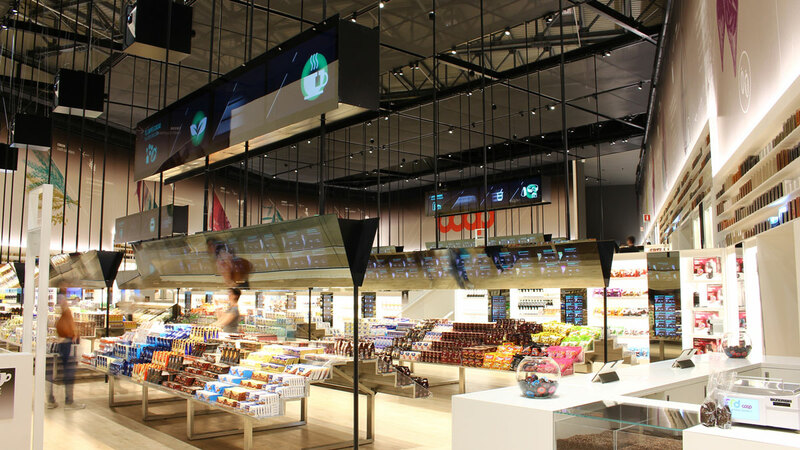 For the general lighting of the supermarket Imoon used its VENERE PRO P, LED projector, installed at 12m, and guaranteeing 700 lx in the passageways; Exhibition areas were illuminated with high efficiency LED profiles, hidden inside sails and integrated into the architecture, to blend in perfectly with the environment. 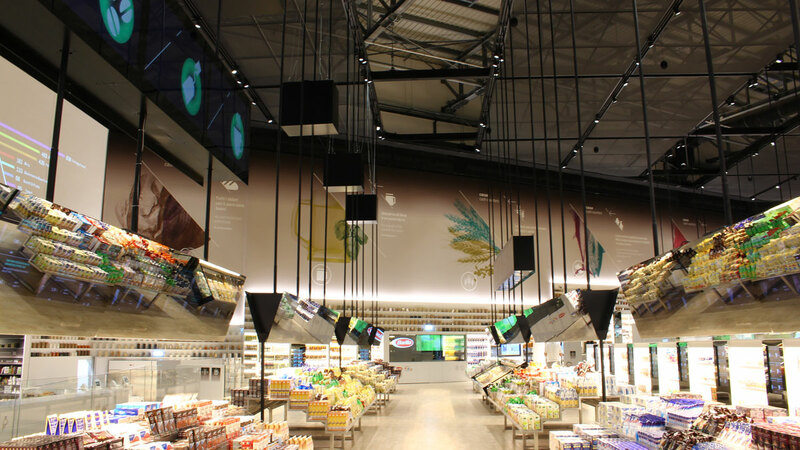 The ceilings MIA, and KRONOS projectors, complete the project of the supermarket. 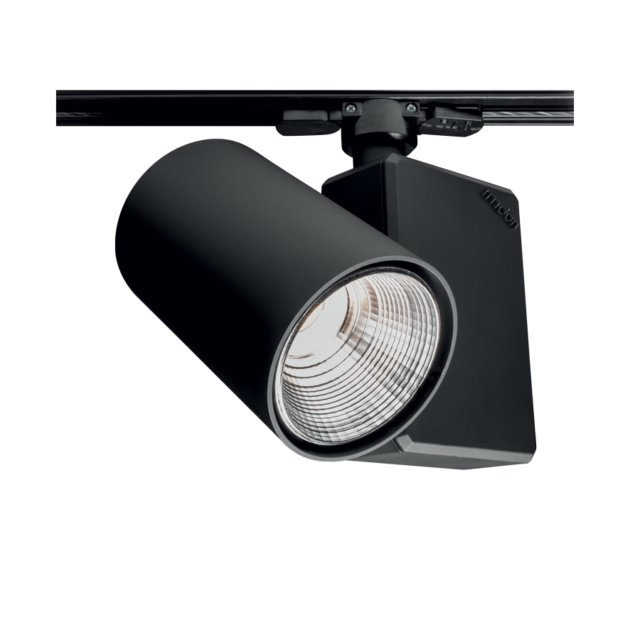 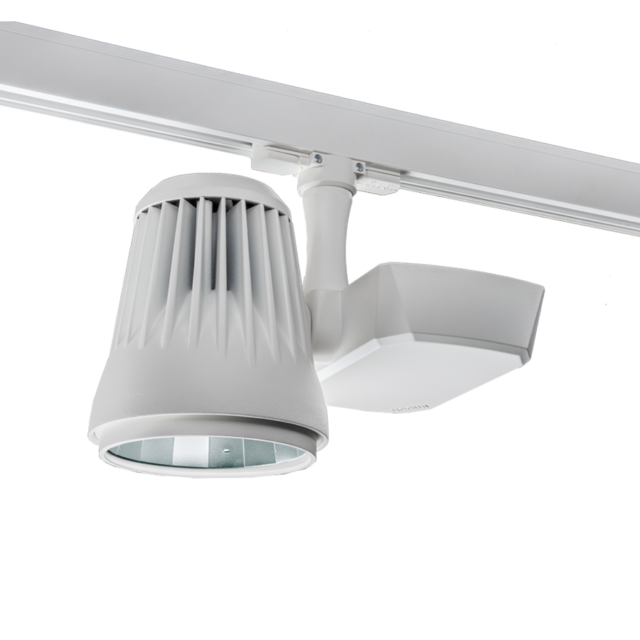 A further added value is given by the DALI protocol (a system to program the desired light intensity) with which you can create customized scenarios and effects generating, in addition to the desired lighting, a greater energy saving. 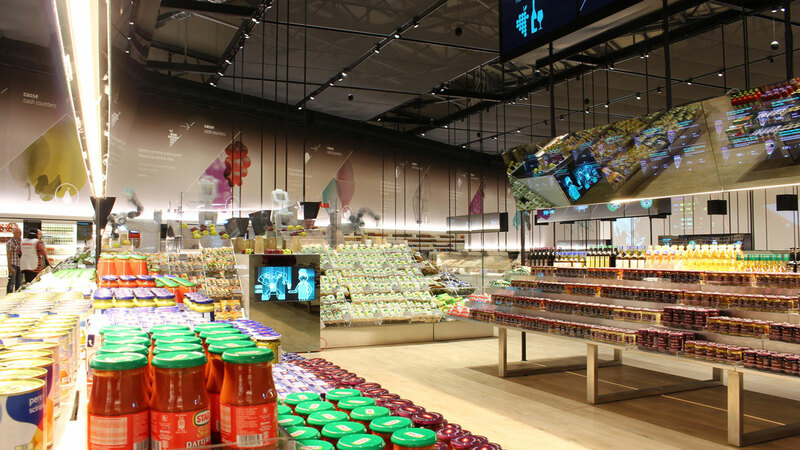 The project extends to the areas of Radio Coop and the Exhibition Centre, a multipurpose room dedicated to interactive teaching on the themes of Expo 2015; all illuminated with Imoon LED technology.